One of the most exciting aspects of the world of digital marketing is how it levels the playing field for smaller businesses and solopreneurs. These are entities who are offering fantastic products and services which will be of huge benefit, but who may be short on the resources and budget required to market them. Gone are the days when a multimillion-dollar marketing budget is necessary to get ahead of your competitors. Digital marketing offers a high ROI whether you’re actually investing cash or you’re bootstrapping and investing your time. As well as offering great returns for small budgets, there are numerous marketing tools out there that can take some of the workload off of your shoulders. These tools are especially valuable for small businesses that don’t have the resources to dedicate a team to in-house marketing, or the budget to outsource the work to a marketing agency. These tools can help you to get the biggest bang for your buck and ensure your precious time is invested wisely. By automating repetitive tasks, collecting data for you to analyze and optimize your campaigns, and helping you to organize and plan your marketing activities, they’ll soon prove invaluable to your business success. 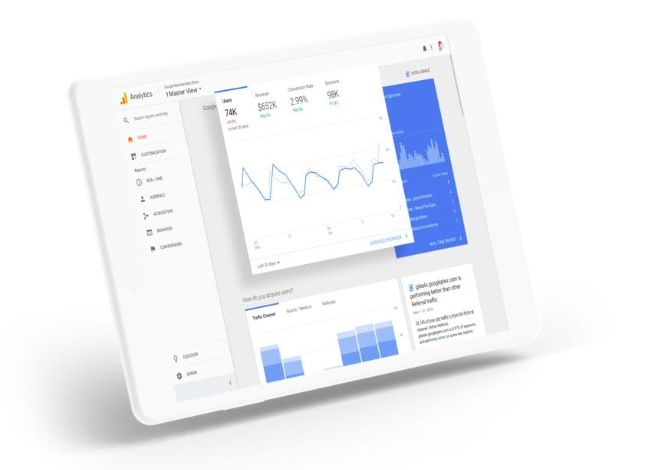 Google Analytics is completely free software which provides valuable insights into who is visiting your website and what they get up to once they arrive. It’s best paired with Google Search Console – another free tool that helps you to identify any problems on your site and optimize it for traffic. All this information is very interesting, but it’s also vital knowledge that can help you to optimize your website and marketing campaigns. Notice you’re getting a lot of searches for a keyword that you don’t currently have a lot of information on? Write a blog post optimized for that keyword and watch your traffic and engagement levels rocket. Getting loads of visitors from Facebook but none from Twitter? Maybe this is a sign you should concentrate your marketing efforts on your main channel. No matter how large or small your business, email marketing should definitely be a part of your overall strategy. When a customer signs up to your mailing list they are basically inviting you straight into their inbox so you can market directly to them, and this is why email marketing on average offers a higher ROI than any other marketing activity. To get started with email marketing you need a service that will enable you to capture emails, manage your lists, send out email automatically or on a schedule, and analyze engagement. 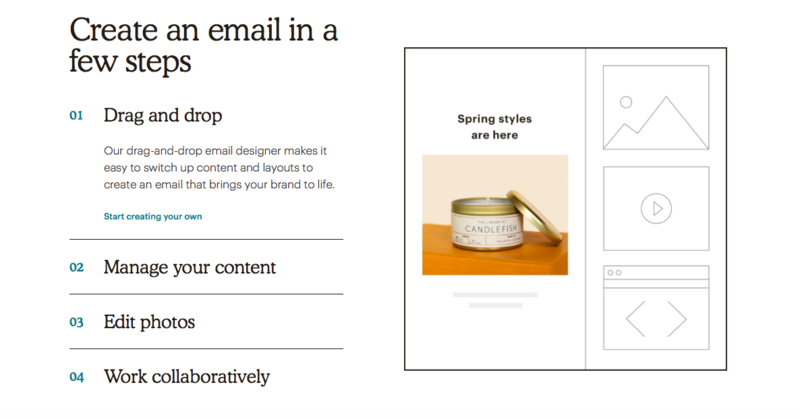 There are many software tools available that offer these services, but Mailchimp is an ideal choice if you’re just starting out or if you are running a small business. This is because the solution remains free until your list hits 2,000 subscribers, and it offers the main functionality you need without making managing your email marketing too complex. You know that these days it’s important to maintain a presence on social media if you are to remain competitive in the marketplace. You also probably already know that social media can be a huge time sink, even if you’re using it purely for marketing purposes rather than just to socialize. Luckily there are tools available to cut down on this time inefficiency, and Hootsuite is one of them. 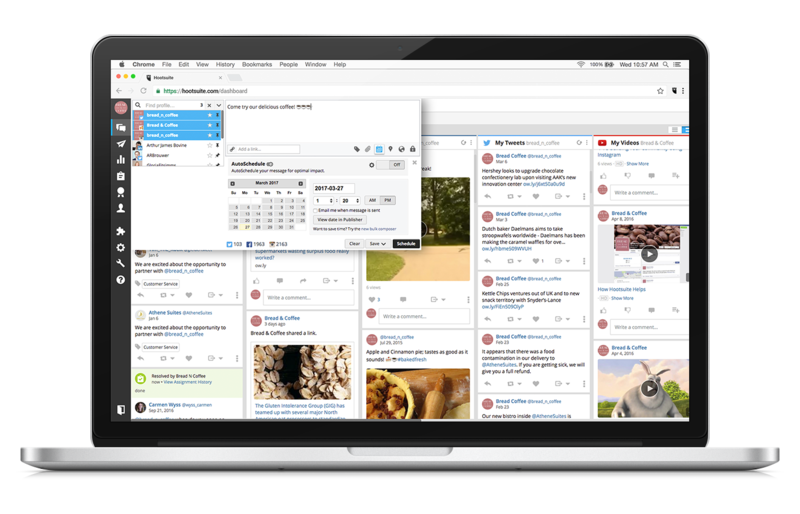 Hootsuite provides a central management platform for all your social media channels and allows you to schedule posts in advance so you can get all your social media content for the coming weeks or months ready in one session. It also provides advance reporting tools, so you can see which of your social media campaigns are working most effectively, and use this data to calculate ROI. In addition, you will be able to track mentions of your brand and manage responses, all in one place. Your content strategy shouldn’t consist of wild stabs in the dark as you write about topics that you think your audience will engage with. In order to be successful in content marketing you need to do your research properly, and this is where Buzzsumo comes in. Buzzsumo shows content that is trending across social media based on searched topics. Following your search, you can analyze the results that are returned to see what’s so appealing about them and to get ideas of subjects to write about. You can also search your own domain to see which of your content pieces is performing best, and see who is linking to and sharing it. SEO is one of the fundamentals of online marketing and it’s important to get right. Not only should you make sure your site is structured properly and optimized for mobile, but it’s also vital that the content you produce contains the keywords that your audience is searching for, and that you have a good chance of ranking for. It’s not always obvious what these keywords are and this is why you need a keyword research tool. There are many options available from the free Google Keyword Planner to more complex suites of tools like SECockpit. 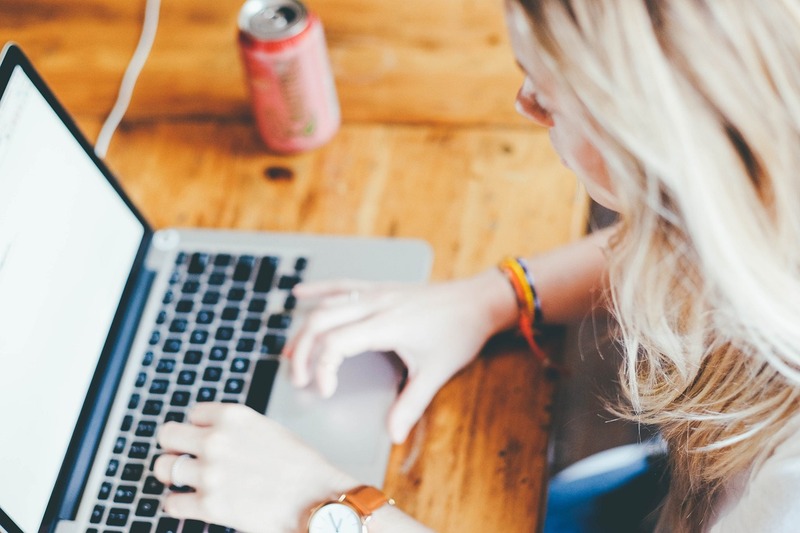 These more advanced tools can be very expensive, with monthly subscription fees starting at $100 or more, but they’re certainly not essential for small businesses. Instead, a keyword research tool like KWFinder offers more functionality than the free tools in an easy-to-use format, for an affordable monthly fee. Just put in a seed keyword and the tool will come back with hundreds of suggestions, search volume data, trends, and a ranking difficulty score for each word or phrase. If you’re running multiple campaigns across numerous different marketing channels, it can not only be challenging to manage them all, but also to figure out exactly what’s working and where you need to make improvements. 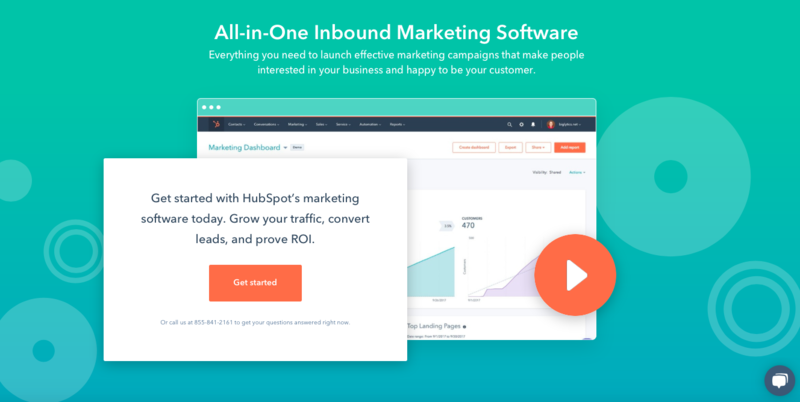 HubSpot is an all-in-one marketing software solution that enables you to bring all your different marketing channels together, and optimize for more traffic, a higher conversion rate, and better ROI. The tool includes optimized templates that are ideal for creating landing pages, and features like live chat and user action events which ramp up your engagement and convert more visitors into customers. The full version of HubSpot has a hefty price tag but small businesses on lower budgets can get started with their free or basic package. Creating relevant and high-quality content is not always enough to grab your readers’ attention. To do so, you need to enhance it with visuals. For example, you could use quality photos to keep your readers interested, come up with motivating quote graphics, visualize complex data with colorful graphs, and create highly engaging infographics. Now, what if I told you that there is an awesome tool that will help you create original, visually appealing content in just a few minutes? Of course, I’m talking about Canva! The options this tool offers to you are multiple- you can use photos that are already featured on the site, upload and polish up your own images, or even create brand new ones. Most importantly, to use this tool, you don’t need to have any graphic design experience. 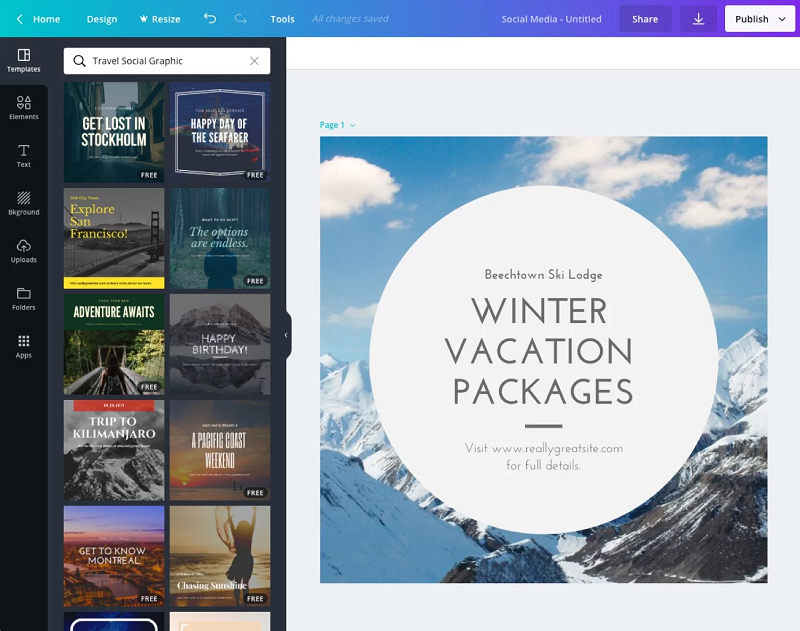 With its easy-to-use drag and drop features, Canva arms you with a wide range of photo editing options, color palettes, font combinations, and custom image sizes suitable for basically every social network. While old-school SEO was all about the backlink quantity, modern SEO practices are focused on building relevant and organic backlinks. Based on the number of quality links leading to your content, search engines will know how authoritative and trustworthy your website is. Precisely because of this, off-page backlink analysis is the backbone of your digital marketing strategy. 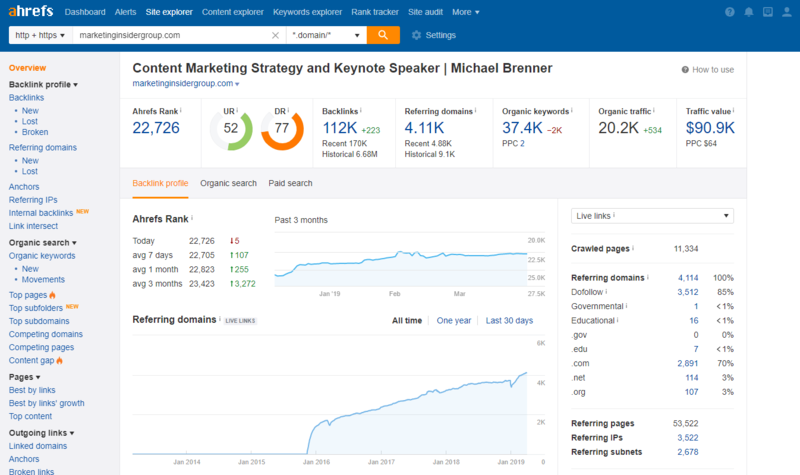 Now, even though there is a plethora of amazing tools you may want to try out this year, for many digital marketers, Ahrefs is the one and only. With it, you can do competitive analysis and see the keywords your competitors are ranking for in organic search results, find the best keywords ideas, access your backlink data instantly, find content relevant to your niche, keep track of your desktop and mobile keyword rankings, and get alerted whenever one of your competitors gets or loses a backlink. In the world of digital marketing, the ease of communication between team members determines the outcome of any task or project. This is why you need to invest in easy-to-use software that will provide your customers with an uninterrupted interaction and data sharing. 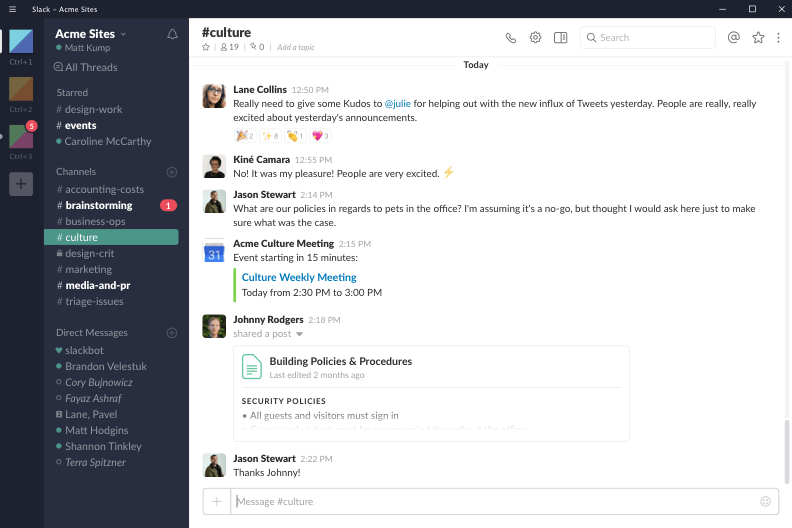 One of the most popular team collaboration platforms is Slack. This real reason why this sweet tool has won the hearts of many digital marketers is its simple data sharing and easy message search options. Most importantly, Slack is integrated with all major project management, office management, sales, productivity, design, and developer tools, making it easier for you to stay on top of every aspect of your digital marketing campaign. To survive in today’s competitive digital marketing landscape, you need to be intuitive, social media-savvy, and persistent. Most importantly, you need to be a jack of all trades. To save time and make your job simpler, you will have to rely on a wide range of digital marketing tools. Whether you’re analyzing off-page backlinks or developing a content marketing strategy, these tools will help you not only focus on the aspects of your job that really matter, but also maintain your sanity.